Recruiting Innovation has launched a new tech recruiter certificate. Courtesy Recruiting Innovation. BOULDER — Recruiting Innovation, a Boulder-based online platform for training tech recruiters, is looking to bridge the knowledge gap between tech professionals and the people who help place them in jobs. The company has developed a tech recruiter certification: an online class tech recruiters can take that will teach them the fundamentals of the software development life cycle, who the engineers are along that process and how to engage with those technical candidates in their language. What is more, job candidates can get 15 to 20 messages per week from recruiters who don’t understand the technology world. 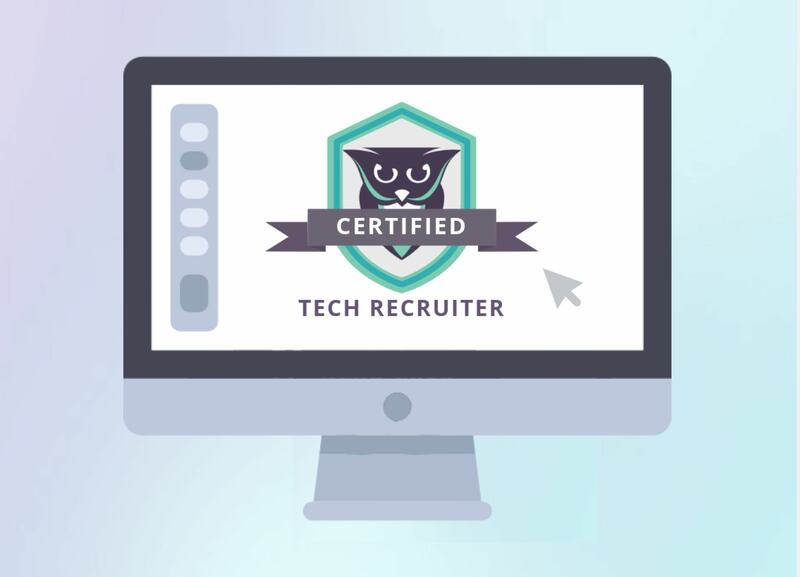 The solution — which is geared toward recruiters but also can work for executives or other people looking to understand the tech roles they are hiring for — is a 10-hour online program: the tech recruiter certification. The program covers five courses — full-cycle recruitment, front-end engineering, back-end engineering, dev ops and diversity inclusion — with a self-based thesis at the end. Each instructor is an expert in the field and the program can be done on the recruiter’s own time during a four month window. “I was a tech recruiter for 10 years, and I know how painful and awkward it can be in a job you don’t have training for with the pressure of having 17 open positions to fill,” Daley said. Daley, who was a recruiter for Craftsy during a high-growth period and then pivoted to user experience research, wanted to use her two background to improve the way recruiters think about their role and widen their toolkit. The hope is that getting a tech recruiter certification can become an industry standard and a badge that shows potential candidates — and the company that brings on a recruiter — that a recruiter is familiar with the role and knows what they’re talking about. When it comes to potential customers, Daley said her company is specifically targeting mid-size and enterprise companies that have in-house recruiting teams, as well as mid-sized recruiting agencies. The certification is now available. But to make knowledge more accessible, Recruiting Innovation recently launched a series of workshops to teach its tech sales toolkit to more people. The group sold out of its first workshop and has a second scheduled for Oct. 2 in Boulder. What is more, Recruiting Innovation is also looking to build new certifications, such as a senior tech recruiter certification, for those who already have the tech foundation but would want to dive deeper into specific roles.